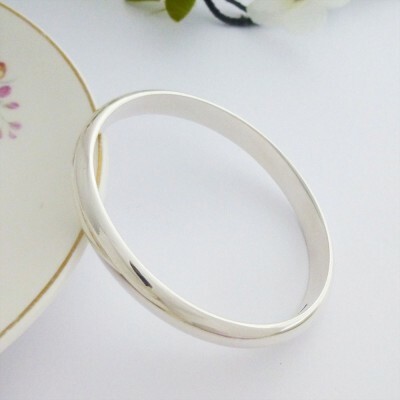 We at Guilty Bangles adore this fabulous heavy weight bangle, it is a very popular bangle and we are pleased to have designed it in a larger size making it perfect for women who have a slightly larger size wrist. 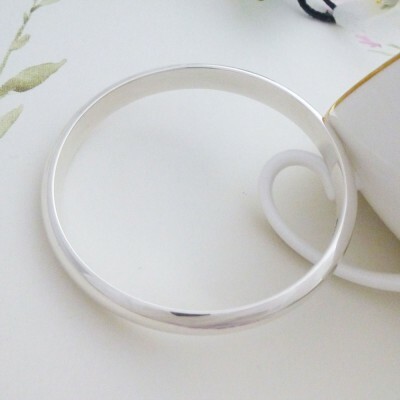 The Arianna Large Chunky Silver Bangle has a D shape design, making it perfect for engraving as it has a flat interior and a round shiny exterior. 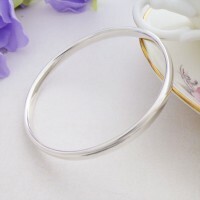 This gorgeous bangle has been handmade in the West Country and hallmarked in the UK exclusively for Guilty Bangles. 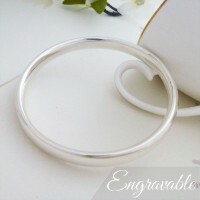 Part of our personalised silver bangles collection, the Arianna Large is suitable for custom engraving. 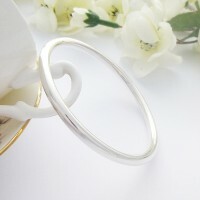 The internal diameter of the Arianna Bangle measures 68mm. Subject to availability, the Arianna is available in small wrist, regular wrist and large wrist sizes. The Arianna is D shaped section that is 8mm wide and 4mm deep.